Between my exceedingly stressful day job, family and a bit of dearly needed ‘me time’ there simply wasn’t any time left for blogging over the last few months. 2017 has been a handful for me in various ways … with some highs, some severe lows and several personal developments that were simply a priority. Actively posting, commenting and reading other blogs can be too much when there is so much on your mind all the time. That said, I still really enjoy blogging, connecting with all you lovely blogger gals and guys out there and taking pictures … and I hope to get back to some kind of schedule eventually! Maybe I won’t post as often as I used to but there will definitely be more to come from me in 2018. That’s a promise. In the meantime, I hope you enjoy this little outfit overview of 2017. Hope you are all well, have a fabulous 2018 so far and are making the most of your weekend!! Nice to see a post from you, happy lunar new year! :) You look great in red. I’m glad there were some good points to 2017 even if it was a busy year for you! COmpletely understandable that the blog would take a backseat for a while. I honestly love all of these outfits! You have such a feminine and chic sense of style. All those dresses (red, pink, black) were so cute…but what caught my eyes the most is the wedding dress (it was a wedding dress?) Congrats! Btw I was also away from blogging for a while in 2017….sometimes life just takes over and there is nothing wrong with that. I do usually miss blogging when I’m away from it. Stimmt, dein letzter Post ist ja schon einige Monate her! Ich hoffe, dir geht es gut! You’ve shared so many fantastic outfits! The gingham maxi dress is stunning and oh my gosh, you’re so beautiful in that nature crown!! The outfits are so pretty. I love it. Loving all your looks! Very gorgeous. Such a lovely roundup! I wish you all the best for the new year! Ohhmmy, you are the cutest. Love your mini outfit overview – my favourite has to be the red floral patterned dress! You have the best selection of dresses! I love the gingham maxi one though! 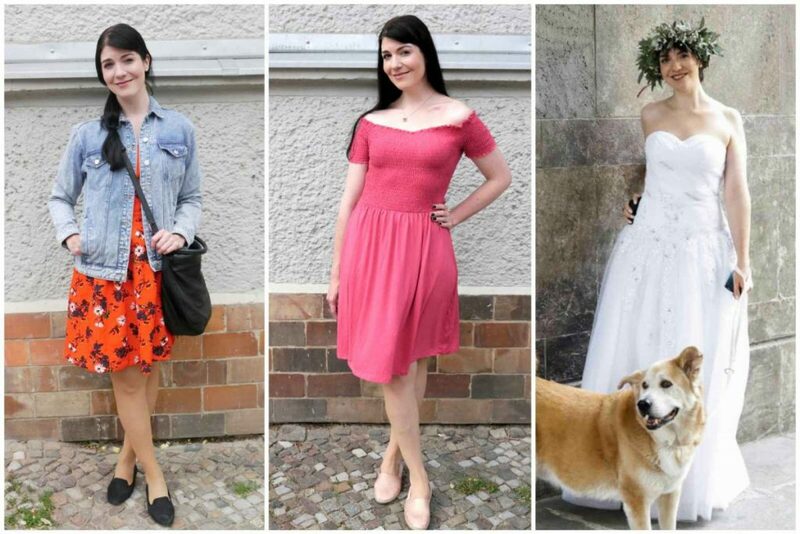 Das sind sehr schöne Outfits :) Du siehst jedes mal toll aus! Loving all of your looks!! You look gorgeous in all of them! Awww you look so beautiful!! This is a fantastic post! !